Capt. Stan's Deep Sea Chronicles: Heat VS Celtics Tonight! 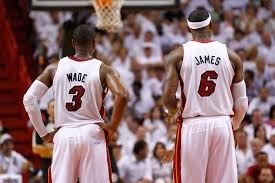 As avid Miami Heat fans, we at The THERAPY-IV like to keep track of our favorite team’s progress through the season. Tonight, we’ll be watching intently and supporting the best NBA team, but before that, here’s a short preview of the game, provided by ESPN. “The Heat will next face a Celtics team that has had major troubles of its own, even with Rajon Rondo back in the lineup. Boston (14-28) has lost nine in a row on the road and 14 of 16 overall. Rondo, who missed the first 40 games while rehabbing ACL surgery, is averaging 7.0 points and 4.0 assists on 36.8 percent shooting in 20.5 minutes since returning Friday. In their last game, a 93-91 loss at Orlando on Sunday, offensive struggles at the end cost the Celtics. After the Magic took the lead with 10.1 seconds remaining, Boston was unable to put up a shot in the final seconds. This matchup will allow Joel Anthony to face his former team for the first time. Anthony, who started 110 games during his six-plus seasons in Miami, was sent to the Celtics on Wednesday in a three-team trade. Though he has yet to play for Boston, coach Brad Stevens has already seen the center's value. Boston is 5-16 on the road, but one of those wins came when Green hit a 3-pointer at the buzzer to help the Celtics knock off Miami 111-110 on Nov. 9. We at The THERAPY-IV love our local sports teams, so you can look forward to more posts like these in our blog. The THERAPY-IV is based in Halouver Marina, just 2 minutes from the Atlantic Ocean and 6 minutes from the Gulf Stream. For information on Miami Deep Sea Fishing, contact us by calling 305-945-1578.